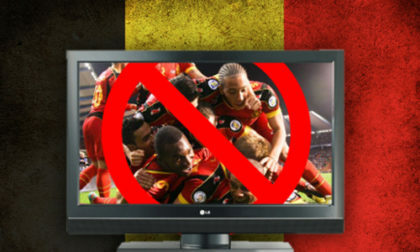 Government officials in Belgium will soon be considering new restrictions on advertising for gambling-related services, in particular during live sporting events, on TV, and during daytime hours when children are most likely to be present. The new push, led by Belgium’s Minister of Justice, Koen Geens, already has the support of Belgium’s official Gaming Commission and a growing spectrum of the nation’s politicians. Fines and penalties for operators who violate both the new and other already-existing gambling restrictions. One of the existing issues is this: Exactly what Belgium regulators can do under the country’s current gambling licensing regime aren’t quite crystal clear. Belgium’s most recent gambling regulatory overhaul occurred six years ago, but as in other countries, it wasn’t fully cognizant of nor designed to deal with the onslaught of new advertising forms that have expanded across the European market. One area not planned to be addressed by the proposed changes, at least for now, is the increasing prevalence of advertising banners and placards frequently appearing at live sports venues. Belgium does maintain a list of blacklisted operators, which has been continually added to since 2012. A warning on the Belgian Gaming Commission’s website warns Belgian natiionals that they open themselves up to criminal prosecution by wagering on these sites. Most of the 100 or so websites on the list are tiny, fringe operations, but a few bigger names are included. Among them: Betfair, Titan Poker, Winamax, Chili Poker, William Hill, Stan James, Betfred, PKR, BetVictor, Intercasino, and 5Dimes. As always, part of the push — a de-emphasized part, at that — seems to be to steer consumers to the officially licensed sites, rather than the grey-market operators, whether those have been officially added to the country’s blacklist or not. But as has also occurred elsewhere, operators believe that two many restrictions will spur Belgian punters to simple defy the restrictive rules. 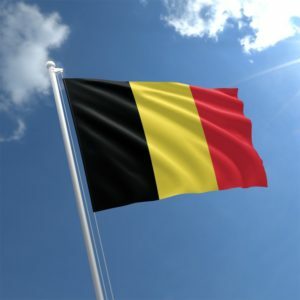 For instance, the Belgian Association of Gaming Operators (BAGO) recently offered findings suggesting that only about 15% of the country’s bettors patronize sites that are already blacklisted by, or easily could be, by Belgium’s Gaming Commission. They suggest that percentage could rise to as much as 50%, though such extreme claims may do more harm than good.